In this video tutorial we will show you how to use photoshop elements templates. Launch the Adobe Photoshop Elements and choose “Photo Editor” to open. 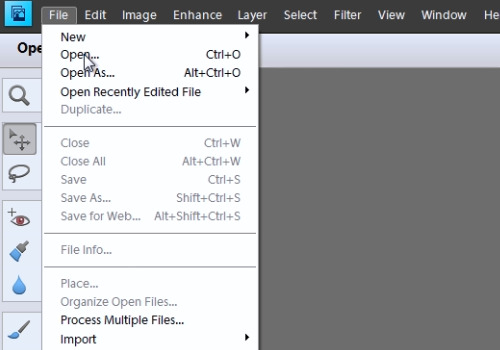 Go to the “File” menu, choose “Open” and select the files you want to use. If you see a warning message, press “Ok”. With the “Move tool” move your photo to the template. 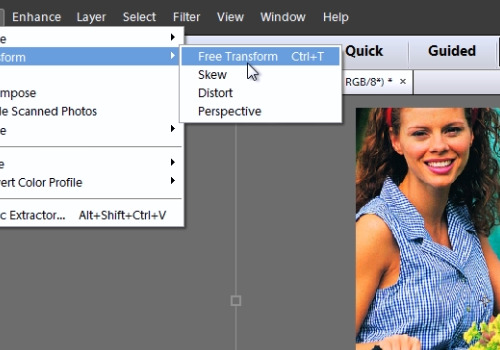 Then, go to “Image” menu, click “Transform” and choose “Free Transform”. Adjust size and position of the photo to match the template. If you need to zoom out press “Ctrl&-”keys, if zoom in “Ctrl&+”. When it’s done, press “Check” button.